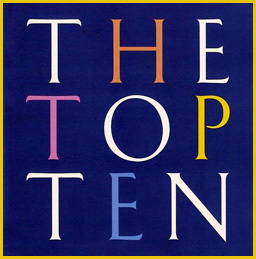 Welcome to this week's Top Ten! I hope everyone's enjoying their summer. That's no reason to ignore the sounds of Summer on the radio...internet radio, that is - right here at This is Lounge. That backyard patio cocktail party? On the patio of that café you run? Or just over the wifi, reelaxing and sunning yourself. We're here for your listening pleasure. Thanks for spreading the word - listenership is up. Shout outs to Phigroa and UK friend, Darren Pearson for retweeting these on Twitter, and getting the word out. There is so much music and shows and mixes out there, thanks for coming back to our little corner of the beach for a bit. Congrats to Alex Cortiz for reaching the summit this week, as he moves into the top position. Stephanie Sante and Portugal, The Man are right behind him. Jazzy James Jr. may have dropped, but he is still high in the rotation, so keep it tuned into This is Lounge. Nice to see everyone taking advantage of the Top Ten Poll now that its back up and running. A surge of votes for Sambox has given his track a rise in the standings. That's a perfect example of interactivity with the station. Be sure to cast your vote at the station website. As I still have some finishing touches on my landscaping project, I haven't had the time I wished to devote to the station. Catching minutes here and there have given me some time. I can't wait until I can relax and enjoy my new outdoor space, and give you more of my time. That being said, I anticipate some new music joining the fray very soon. In the meantime, I invite you to check out some of the new music that's bubbling under. This week, we had the jazz sounds of Hudson, and they're interpretation of Joni Mitchell's Woodstock come in at number ten. Now, there's a Summer song filled with memories for many, I'm sure. Thanks for all the support. Keep visiting the website, although I know it needs a little refresh. Thanks for making us a part of your Summer. Spread the word. We're here 24/7, with a mix of music you won't find anywhere else. Thank you for supporting the artists. Every dollar spent downloading their music goes back into helping the creative process.
" 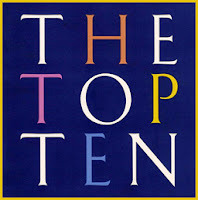 The Top Ten ". Have a great weekend.